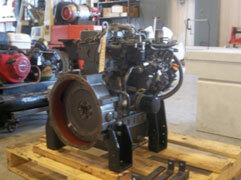 C&B Equipment, INC.BLOGGeneral InformationAre all bio-diesel fuels for industrial engines made the same? Are all bio-diesel fuels for industrial engines made the same? One of the number one questions we get with our diesel engines is, “can I run bio-diesel?” Engines have what we call Elastomers- soft parts which are the rubber hoses or “O-rings”. If an engine is not set up correctly to use bio-diesel, then this fuel can cause an adverse reaction with the Elastomers. This can cause a failure on the field system i.e., the injection pump can fail, the injectors can fail and stick, the electronic fuel pumps can fail, etc. Before you use bio-diesel in your diesel engine, it is best to check with the manufacturer to see what percentage of bio-diesel it contains. You also need to be aware of where you are getting your bio-diesel from and what components are used to make it. Sometimes that has a determination with the engine manufacturers; whether or not you can use that particular fuel. Almost all of the major brands such as Yanmar or Kubota can take up to a certain portion of a B5 or a B7, which means that your number 2 diesel can be blended up to 5% or 7% without having to make any major changes to the engine. Yanmar does have a kit available that allows the owner to change out some hoses and Elastomers on the engine and take it all the way up to B20 without any adverse effects, but always refer back to the manual. 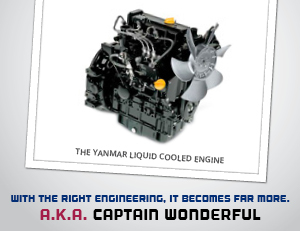 C&B’s standard on Yanmar diesel is that B5 is the highest level bio-fuel you can use without making some component changes to the engine in order to increase the amount of bio-diesel.